While Zimbabweans are agreed that corruption is the number one cancer eating the fabric of the nation and that those responsible have to be brought to book, analysts are of the opinion that if there are any arrests they have to be done professionally with suspects being given fair trial before the courts without delays. The analysts said while the recent announcement by President Emmerson Mnangagwa that he would deal with corruption is commendable, it should not be done along factional lines but that all corrupt officials should be investigated and brought to book. Former Finance minister Ignatius Chombo is in the courts for crimes the State says were committed during his tenure in the Local Government ministry about a decade ago. Peace activist Jestina Mukoko said those who are suspected of having been corrupt should be investigated and prosecuted. “I believe our systems are strong enough to net all these people without going the route of abducting and torturing. Enforced disappearances are a crime against humanity and for a while we have been advocating for the signing of the Convention Against Torture as the practice is inhuman and degrading. “One important element is that there should never be sacred cows if we are to be respected for embarking on this process and the law should not be selectively applied. The rights of the detained should be respected,” said Mukoko. Political analyst Maxwell Saungweme believes it is a good thing to arrest and prosecute corrupt officials, but the arrests must be lawful and done in manners that respect rights of the accused. “These arrests and prosecutions are selective and target officials of one Zanu PF faction, G40. These are politically-motivated witch-hunt coughed as covered by a veneer of clamping down on corruption. “These selective prosecutions will not address the problem of endemic corruption in Zimbabwe. If the new powers wanted to deal with endemic corruption they should have started by declaring and disclosing their own wealth. “They should have arrested all suspected of corruption including themselves. To deal with endemic corruption you also need to reform institutions that include the police and judiciary,” said Saungweme. He added that these selective attempts aimed at vindictiveness against political rivalries will not solve endemic corruption in Zimbabwe but fuel mistrust and compromise a key institution the judiciary that has to make politically correct judgments instead of being empowered by reforms to deal impartially with corruption cases. MDC spokesperson Obert Gutu said it is too early to say that this is the beginning of the prosecution of corrupt officials. Political analyst Vivid Gwede said with the trials coming just in the aftermath of an acrimonious power struggle in which the trials belonged to the defeated faction, it is too early to cal it a crackdown on corruption or a witch-hunt. “There is a big difference between fighting corruption and just targeting selected corrupt ministers while others remain secure in the new administration. “During the Mugabe regime we saw the targeted arrest of some high profile people, while some were protected in the shadow of the leader himself. So a real attack on corruption is a disinterested prosecution of both the leader’s opponents and allies facing allegations,” said Gwede. Analyst Rashweat Mukundu said this is a good beginning if done within the law without torture as is being alleged. 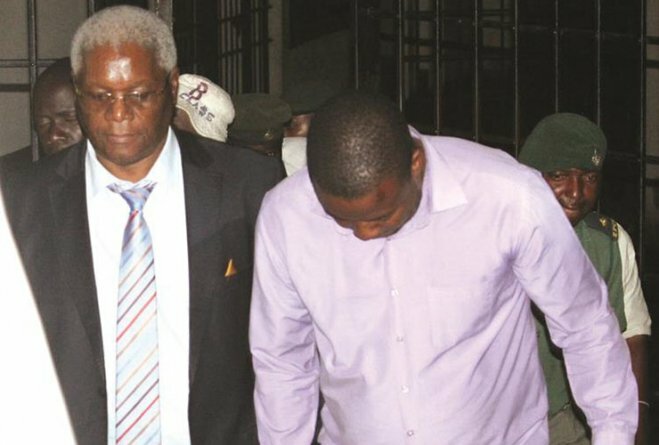 Political analyst Precious Shumba said the arrest and prosecution of Chombo has been welcomed by the people of Zimbabwe. “Chombo has been accused by many people in the opposition and local authorities of massive corruption involving illegal land acquisitions, through demanding local authorities and housing cooperatives to make available to him or his agents a certain percentage of serviced housing stands. “Due to his influential role in Zanu PF and government, there was no hope of him ever being brought to court to answer to these allegations, because he has always been protected by the system, which made him seem to be above the laws of the country. “Instead councillors who have previously dared to challenge him like Warship Dumba of ward 17 Mt Pleasant (2008-2013 council )and Elias Mudzuri and his council (March 2002-2004) were the ones who ended up being dismissed and losing their positions, depriving the electorate of their legitimate representation,” said Shumba. He added that Chombo’s arrest sends a clear message to the people he has worked with within local authorities in particular bureaucrats and corrupt councillors from both Zanu PF and the MDC that they are also in line to be prosecuted for their involvement in land deals if they are reported. “Mnangagwa and his new government have to demonstrate that they are prepared to sacrifice even their closest friends so that they have their time in court, and their wealth forfeited to the State. He urged the president to take his anti-corruption to local authorities and order a thorough investigation of all land sales from 2008 to the present, and that he will be able to have a clearer picture of who are the real thieves in his government. “He must also target all the decision makers in the Local Government ministry, some of them running security companies that have been deployed to secure government buildings. “If he can pursue the criminals for the next three months while he cleanses Zimbabwe, we are certainly going to see the recovery of Zimbabwe. The root to the collapse of Zimbabwe’s economy is corruption by senior government officials and their agents in local authorities.